Douglas Darden, III, struggled with alcohol addiction. 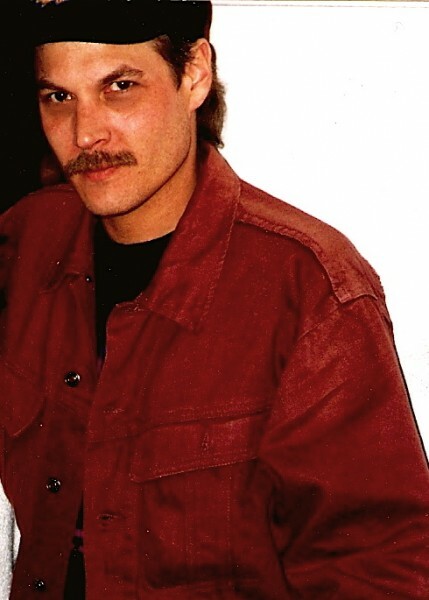 He had been imprisioned for DUI and after his release from The Riverside Correctional Facility near Ionia was living at a halfway house during the winter months of 2000. (He was due for parole release that June.) His mother, Merle Darden, said he left the halfway house unobserved on March 1, 2000. His body was found two weeks later in a waste-water outflow at 756 Wealthy St. SE. He was discovered by men out fishing in a small boat. One of them said he thought the body was a mannequin. Forensic pathologist Dr. David Start determined the cause of death was asphyxia due to drowning. And he initially made his determination that manner Darden’s death was suicide. 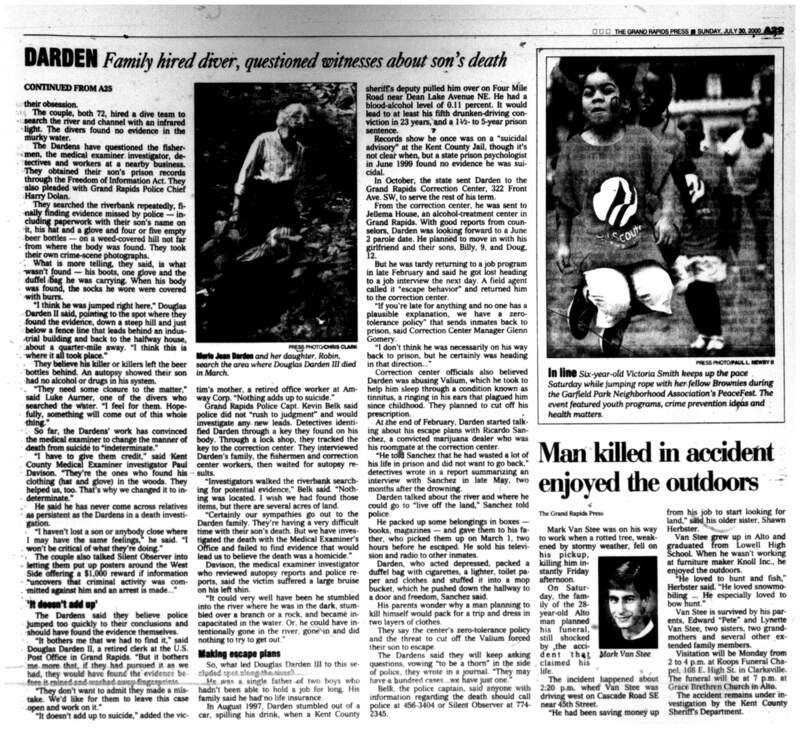 Merle Darden met with Dr. Start and after their discussion he changed the manner of death to “Indeterminate.” Police maintained they believed Darden’s death was suicide. His mother said she believed it was murder and she said the police did not conduct a thorough serve of the area. Mrs. Darden said she went to the site and recovered some of her son’s possessions that he took with him when he left the halfway house. “I found a sock and a washcloth, two PVC rods, paperwork. His money was gone. Everything else was gone. 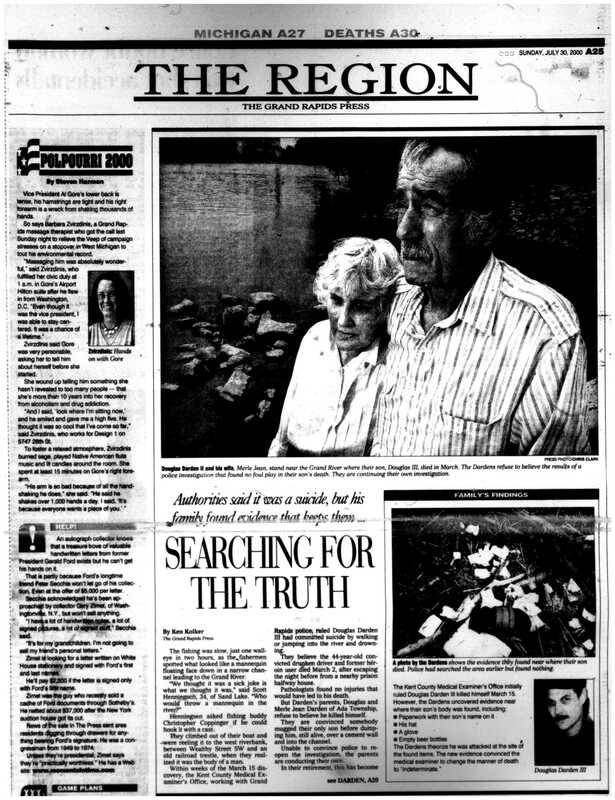 His duffel bag was never found.” The following story is by Ken Kolker (then with The Grand Rapids Press and now with WOOD TV 8) and is from July 30, 2000. Ken makes the point that Mr. Darden had been addicted to heroin, something his sister Robin says wasn’t true and she is not sure where that come from. She maintains with her late mother that her brother was murdered. Grand Rapids Police Department: 616.456.3403, or Silent Observer:616.774.2345. Posted on Tuesday, March 2nd, 2010 at 9:28 pm. Last updated on Thursday, June 1st, 2017 at 8:05 pm.